As rcontera said, you are looking for somewhere rocky and currenty.... luckily (i guess) every place in oregon has plenty of current to meet the second critera... so you just need to find some rocks. The more popular sites (especially shore dive sites) have the fewest. Awesome thanks even that helps alot haha at least it gives me some scouting to do lol cliff climbing might be a little bit much with gear but I don't mind a hike. OOPS!! You are right ... I read the regulations page wrong. You need rocky areas that are well swept by current or tidal activity. So, for the Oregon Coast that translates into a lot of cliff climbing. thanks for the reply and I totally understand people not wanting to openly share there good spots especially for reasons like you stated and its awful when people destroy great things like that. If nothing else im just looking for some guidance even if just as where too look or maybe some off the beaten path dive spots on the oregon coast aside from the usual bay dives. Oregon regs actually allow 24 scallops a day and whit the size of rock scallops that'd be a decent catch but as for abalone those are regulated to 1 a day. lol ah good ol steve hes impossible to get info out off I got certified thur his shop years ago and was kinda one of his shop rats for a while but lost interest with things around there and had a hard time getting any of this kind of info so I moved on and now work for another shop. Ah ... Oregon shore diving is a problem. 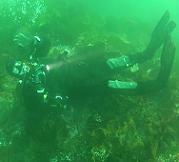 While there are a lot of nice places to shore dive, those conducive to rock scallops are pretty tough to get to. And with your 1 per day rule, it really isn't worth the work. When we first opened our dive shop in 1981, rock scallops were abundant and fairly easy to find locally (Port Orchard). There was a shore dive off of Bainbridge Island that we called the "Train Crossing" that you could see hundreds of dinner plate sized monsters wedged in between the rocks. I took a group of photogs one time (back in the days of Nikonos II & III) and of course they showed their pictures and bragged about how big they were and let everybody know about the "Train Crossing" dive spot which is an adventure in itself. Within a year there were no rock scallops left. That could be why the reluctance to post information on a public forum. Don't get me wrong ... I luvz my diver harvested goodies ... cabezon, crabs, scallops ... but hot spots should only be shared with responsible people that know better than to go in and wipe out an area. As you get to know the locals, you will be privy to more and more information. Your local dive shop has an old curmudgeon that is FULL of information and, if you hang out enough, Steve may eventually let you in on his favorites. Anything for oregon? I've gotten them on the pinnacles offshore from newport but am hoping to find a place accessible from shore. I have heard people talk of places to shore dive for them and read peoples stories on the forums but nobody ever gives the location so I know spots exist somewhere. Dusty2 wrote: Deception pass. There are loads of them there. Yes. West side of deception island out off deception pass. And yes, make sure you know the regulations. just so you know this is in the Washington fishing regs . check the Department of Health toll-free Shellfish Safety hotline, (800) 562-5632 or on the Internet, www.doh.wa.gov/shellfishsafety.htm. Deception pass. There are loads of them there. Can't help, but you should get an answer or two. My understanding is that if you want serious scallops it will probably be a boat dive - Hood Canal, perhaps? 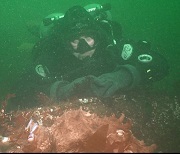 I've been wanting to go diving for scallops for sometime now but haven't seen any and am not sure where to look and was wondering if anybody would be willing to share there spot with me or guide me in the right direction on where too look. I would prefer that most dives be shore dives but I do have a boat for some of the boat dive spots as well but am a little nervous in the ocean still hence why i prefer the shore dives for now. also if anyone interested in showing me the ropes maybe we could go for a dive i'm always looking for new people to dive with.